A sense of panic has taken over London's financial center after the U.K. voted to leave the European Union. The city is the undisputed financial capital of Europe, but that status is now clearly in doubt. Many global banks use Britain as a springboard for their business throughout the EU. Banks that set up business in one EU country can automatically operate across the entire bloc, without having to apply for additional permits. Leaving the union may disrupt this link, with some high-profile EU officials already calling the so-called "passporting rights" of U.K. banks into question. There's another problem: Much of the global trade in euros takes place in London, despite the U.K. opting out of the currency used by 19 members of the EU. The city handles transactions worth trillions of euros -- currencies, shares, bonds and other financial contracts. Britain went to court last year to stop the European Central Bank forcing some of that business to take place in the eurozone. The bank and EU leaders may now try again to correct what they see as an anomaly. Dutch finance minister Jeroen Dijsselbloem, a key euro official, said losing full access to the rest of Europe would be the "price" Britain would pay for Brexit. Speaking to Dutch TV station RTL on Friday, Dijsselbloem said rival financial centers like Amsterdam and Frankfurt would benefit. The governor of the Bank of France also questioned London's future as the financial capital of Europe. "If tomorrow, Britain is not part of the internal market, the City cannot keep its European passport," Villeroy de Galhau told a French radio station on Saturday, using the moniker for London's financial district. He heads the French central bank and is a member of European Central Bank's governing council. Brexit hangover: 3 huge headaches facing U.K. The uncertainty is already hitting the banks. Shares in financial companies like HSBC (HSBC), Lloyds Bank (LYG), Standard Chartered (SCBFF), and RBS (RBSPF) were among the biggest losers as markets went into a free fall on Friday. Major U.S.-based banks with global businesses, like JPMorgan (JPM) and Citigroup (C), were also hit hard by selling from investors. The U.K. government could try to negotiate full access to the EU for British banks. But that would almost certainly happen only if the country stays a member of the single EU market. And that would in turn require the U.K. to agree to the principle of free movement of people -- something that those campaigning for Britain to leave the bloc firmly rejected ahead of the vote. Britain has already lost an influential voice in Brussels, after Britain's EU commissioner Jonathan Hill resigned over the weekend. He was in charge of the financial services portfolio within the commission, which proposes European laws and enforces them. Latvian commissioner Valdis Dombrovskis will now take over the crucial post. Losing access to the rest of Europe would hurt not just the banks, but also the wider U.K. economy. The financial and related services sector accounts for 12% of the country's GDP. London is the world's No. 1 location for trading in foreign currencies. More than 40% of the world's foreign exchange trades take place in the city. The U.K. has the fourth-largest banking and third-biggest insurance sectors globally, and it is the world's center for trading in commodities like oil and gold and derivatives, which allow investors to hedge their bets. Brexit could also put at risk the planned takeover of the London Stock Exchange by Deutsche Boerse, which operates the main German stock market in Frankfurt. Many big banks warned ahead of the vote that they could be forced to relocate some jobs away from the U.K. if the country leaves the EU. On Friday, several big banks hinted at the possibility. JPMorgan said it "may need to make changes to the location of some roles," while Morgan Stanley said it may "adjust" its business to the new environment. Neither bank said it had already started making changes. 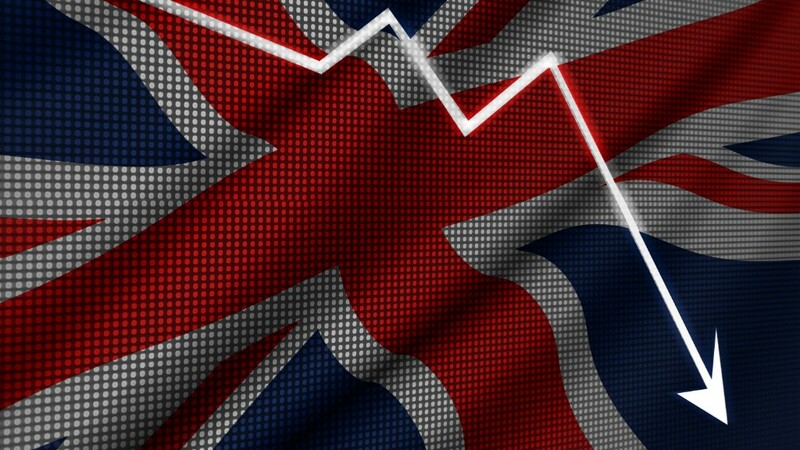 "A sizable portion of activity in Britain's financial sector is likely to be repatriated across different parts of the EU, affecting the U.K. economy and sterling," said Karthik Sankaran, global strategy director at Eurasia Group. There is no shortage of European cities keen to jump on the opportunity to take business away from London. Paris, Dublin, Luxemburg, Amsterdam and Frankfurt, the home to the ECB, already have significant financial centers that could benefit from Brexit if big banks decide to move some of their operations away from Britain.